RocksDB is a way to leverage SSD hardware optimally. It's a way to un congest the network. However, the single digit micro second performance comes from C++ simple calls of GET , SET on KV structure. Any complexity of data operation, requires custom logic implementation. This blog is all about connecting to RocksDB from Java application. It can also be done using Thrift API. Set the repository location and enable C++ repo. Set the rocksdb home, download the rocksdb packae from github. Unzip the package. Architects play with these ingredients to balance the operational requirements and the cost per byte parameter. The result - Numerous hybrid architectural models which are majorly determined based on the nature of application in context. 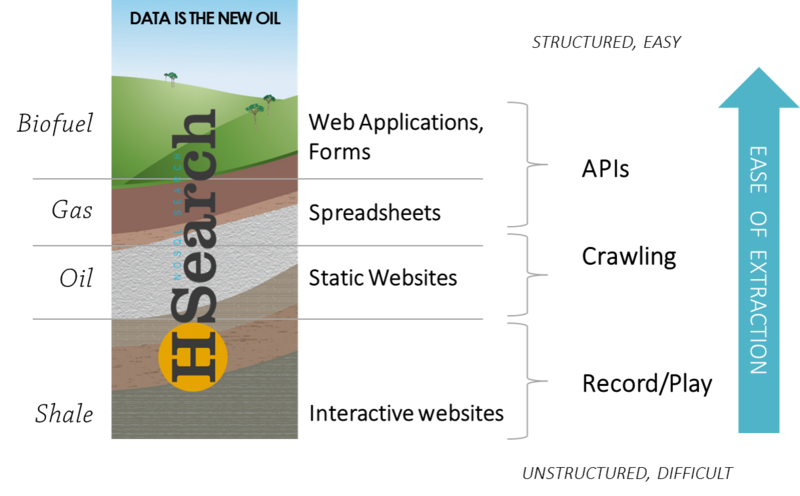 One such application pattern in bigdata world is to fetch large volume of data for analysis. To perform interactive business intelligence, the data is to be served from cache layer. An effective cache layer means more cache hit. And that is determined by analysts behavior. Is most recently analyzed dataset requested again? In most cases it happens, as during an analysis, analysts keep playing with a subset of data to discover patterns. In these scenarios, a cache layer serves wonder by serving hot data from memory, saving the overhead of going to disk and looking up the inode table as well as seeking on the cylinders. Last decade memcache served this layer with wonders in a distributed system setup. However stretching this aspect started building stresses on the network layers. And the first attempt at Facebook is to short circuit the packet layer by running Memcache with UDP and the result - A phenomenal increase in throughput and performance. However, the fundamental problem of network saturation still remained un addressed with this solution. With more and more distributed components hammering the network layer, it continues to reach the saturation point. As these distributed systems were being evolving, new memory hardware, SSD, was making it's way to enterprises as well as retail laptops with mass production. The maturity of SSD along with price drop created the component viable for architects to play with. So the OLD model of DRAM + NETWORK has been challenged with new generation caches on DRAM + SSD. To me RocksDB is the first step on this direction. Going forward, more and more vendors and products will explore on this area. Bigdata Architecture Pattern1 – Cache to Shelter, answer to high writes. App server writes to Shared in-memory cluster with a TTL and to queue dispatcher. Reads are first look in memory cache database. If it is missed, then look in persistent bigdata database. Saves data flow over network. Good for write once read many workload. Embedded database (with TTL) for local in process cache. Embedded database used as cache and designed to use Memory and SSD deficiently. Bigdata Database works for distributed writes, sharding and failover. For the last couple of years there has been lots of conferences on big data database. 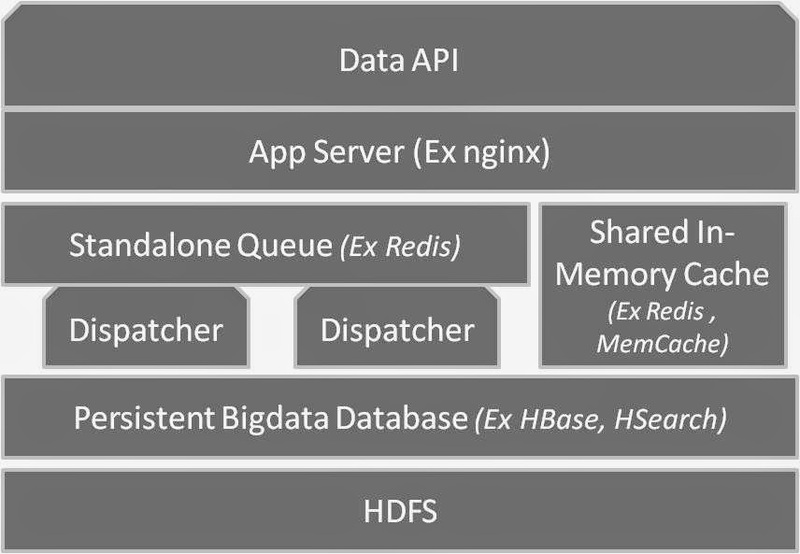 HBase has emerged as a closely integrated hadoop database in the eco-system. Specially at Facebook, month by month hundred of terabytes of data is flowing to HBase clusters. I have compiled these sessions to analyze the similarities among various implementations, configurations and take the learning to apply it for productionizing HBase. Service Logs Delivers single-search-box-access to 943 million itels.